Tortilla With Vegetables And Hummus With Chickpeas. Front View. Royalty Free Stok Fotoğraf, Resimler, Görseller Ve Stok Fotoğrafçılık. Image 75552465. 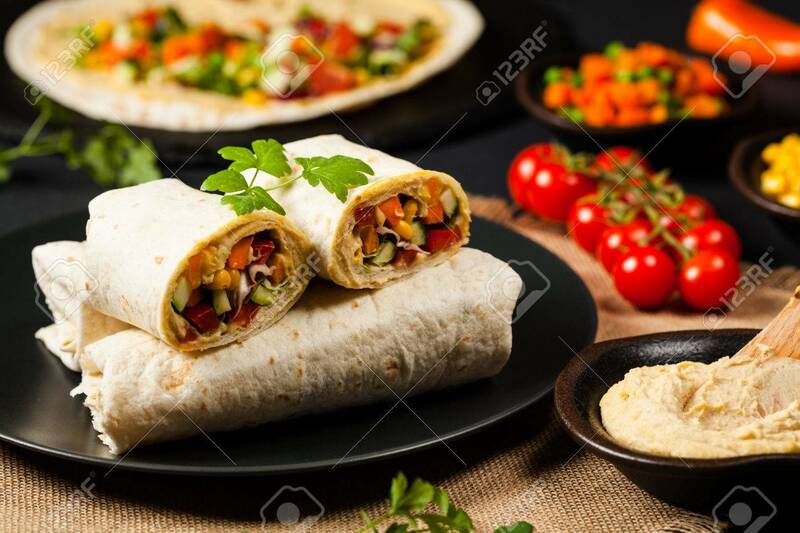 Stok Fotoğraf - Tortilla with vegetables and hummus with chickpeas. Front view. Tortilla with vegetables and hummus with chickpeas. Front view.